When Angela started Middleton Murray with her sister-in-law in 2002, she had no recruitment experience. Fast forward to today, Middleton Murray is a multi-award winning company with 19 branches throughout the UK and is currently valued at in excess of £30,000,000. In June 2017, they announced the launch of a US subsidiary, Middleton Inc, headquartered in San Francisco. Listen into this exclusive interview we recorded with Angela back in 2011. You can eavesdrop on our telephone conversation, unscripted and unedited. We doubled our revenue year on year … and grew from a start-up to sales £10,000,000 in 10 years. Romney’s input has been worth hundreds of thousands if not millions. How did you meet Romney? I attended a course run by the REC (Recruitment and Employment Conglomerate) called "How to Start Up Your Own Recruitment Agency" and Romney was running the course. I approached him after the course and asked him to work with me one-on-one. He would come to our offices once per quarter, or sometimes my husband Steve and I would visit Romney in the South of France, where he lives part of the year. Romney was excellent at following up and holding us accountable. We always had clear, documented actions at the end of each meeting. I continued working with Romney for several years. What impact did Romney have on the success of your business? We benefited tremendously from Romney's knowledge and experience. One example is his Differentiation strategy. At Middleton Murray, we adopted Romney's "100% Money Back Guarantee for 100 Days." At the time, my sister-in-law was horrified, saying "But we'll lose money!" I was certain that the strategy would pay off by showing clients we were committed to providing a quality service. Romney's advice proved itself during the recession. For example, he encouraged us to build up the temporary side of the business, not just focus on perm. When the recession hit, there was a massive decline in perm placement revenue and it was our temps that saved us. Can you quantify the difference Romney made to your growth? Our growth has been phenomenal. We doubled our sales revenue year-on-year. Within 10 years, Middleton Murray grew from a start-up with a single branch into a group of companies, with 50 permanent staff and combined sales revenue of £10m. Further, his advice helped us survive the recession. Romney's advice has been worth hundreds of thousands if not millions. Out of all the advisors I've consulted over the years, Romney has definitely been the most influential and he would still be the first person who's opinion I would seek. Want to be mentored by Romney? Unfortunately, Romney is now retired. The good news is you can still benefit from his advice -- and at a fraction of the cost. When you join Recruitment Growth Accelerator, you'll gain access to the same knowledge that enabled Angela to grow her company from a start-up to £10M in less than 10 years. 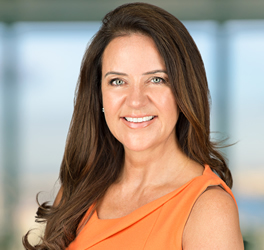 Angela Middleton, Founder & Owner of MiddletonMurray Group, is a dynamic social entrepreneur and figurehead of the training and apprenticeship industry. Since starting in 2002, the company has grown into one of the largest apprenticeship and training providers in the UK, placing over 2,500 young professionals into their first jobs. MiddletonMurray has been recognised and accredited for its achievements by numerous organisations and official bodies such as Goldman Sachs and Ofsted, and is currently valued in excess of £30m. Angela is a frequent media commentator, particularly on careers, apprenticeships and the labour market. Angela regularly consults with businesses on the development of bespoke apprenticeship programmes, as well as adapting to embrace the Apprenticeship Levy coming into force in April 2017. She is a regular speaker at industry conferences to employers and at schools and is the published author of "How to get your first job and build the career you want". Read Angela's full bio here. Unsure about your future #career?? ?